In an alternative London, ruled by the young Queen Victoria, an enterprising lad can find adventure and opportunity - if he is very smart, and very, very lucky. Dodger has the brains, the luck - and the cheek - to scrape by on his own. Everyone knows Dodger, and everyone likes Dodger. Which is a good thing, because life for a boy on the streets is anything but easy. And it's about to get seriously complicated as a simple haircut turns momentous when Dodger unknowingly puts a stop to the murderous barber Sweeney Todd. From Dodger's encounters with fictional villains to his meetings with Darwin, Disraeli, and Dickens, history and fantasy intertwine in a breathtaking tale of adventure and mystery, unexpected coming-of-age, and one remarkable boy's rise in a complex and fascinating world. 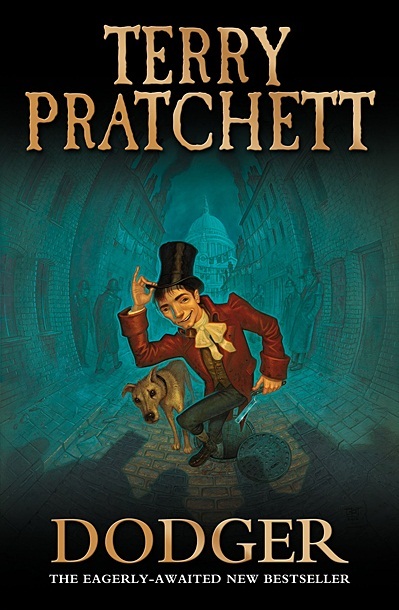 Beloved and bestselling author Terry Pratchett writes at the height of his powers, combining high comedy with deep wisdom, to the delight of fans old and new.